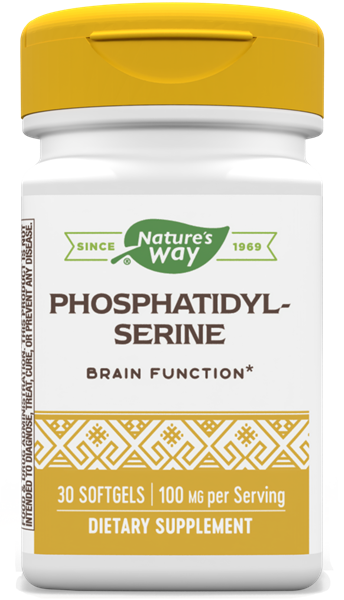 Phosphatidylserine / 30 Softgels - Nature's Way®. Take 1 softgel three times daily for one month, then two times daily thereafter. Best results are obtained with continuous use. If pregnant, nursing or taking any medications, consult a healthcare professional before use. The name SerinAid® and logo are trademarks of Chemi Nutraceuticals, Inc.